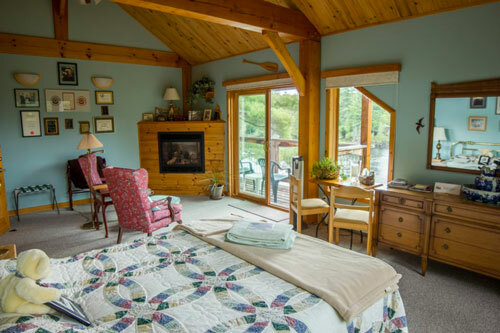 Imagine sitting on your private deck or in the comfy chairs in your bedroom suite catching sight of the comings and goings of the wildlife on the river below. 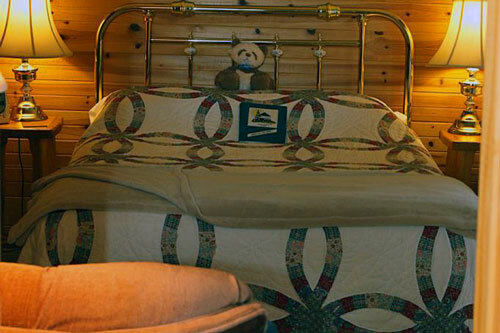 Then, fall asleep and waking up to the relaxing sound of the falls. 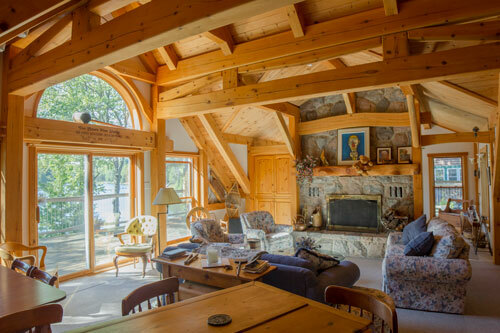 Marvel at the expansive warmth of your pine timber frame cathedral ceiling. 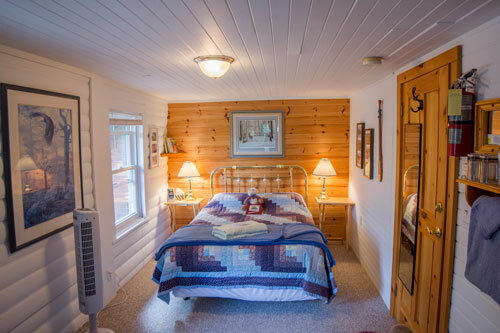 This suite’s southern exposure offers sunshine in your room and on your deck all day. 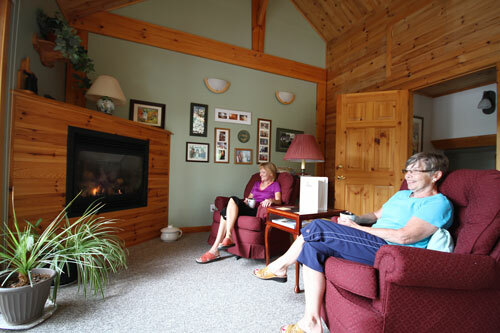 Inside, the expansive warmth of the pine timberframe cathedral ceiling helps you relax in the spacious sitting area in front of an inviting propane fireplace. 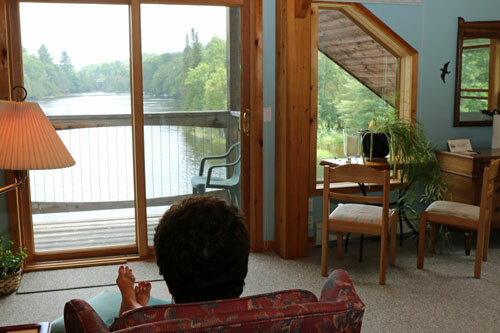 The private walkout/sitting deck overlooking the falls and the river are a perfect spot to have a beverage, read a book, or watch the antics of the otters and other wildlife on the river. 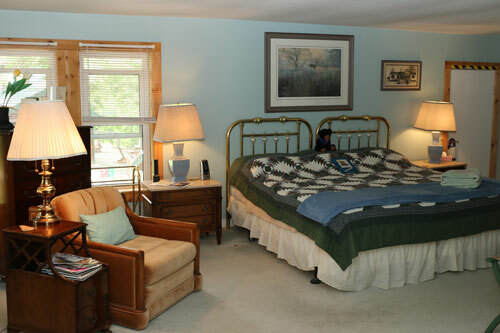 Windows on all four sides of your suite invite the rays of daylight to this bright room. 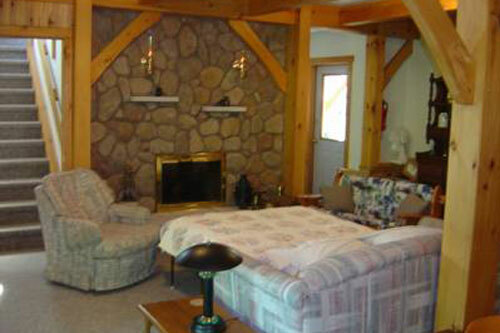 Comfortable seating allow you to cozy up to the inviting warmth of your fireplace. 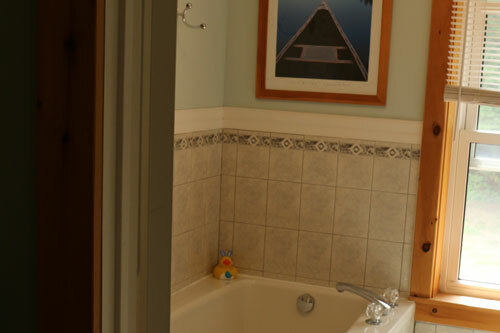 Your own private jacuzzi make this suite a special delight. 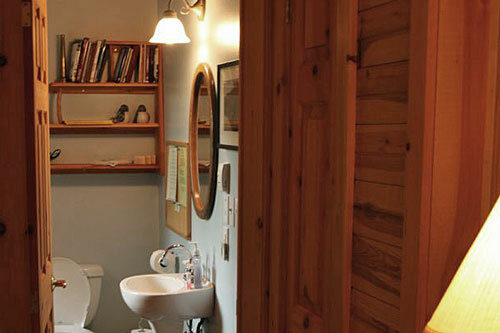 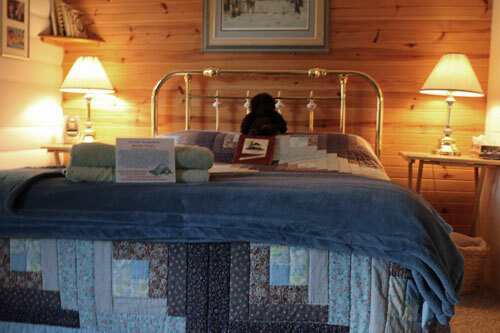 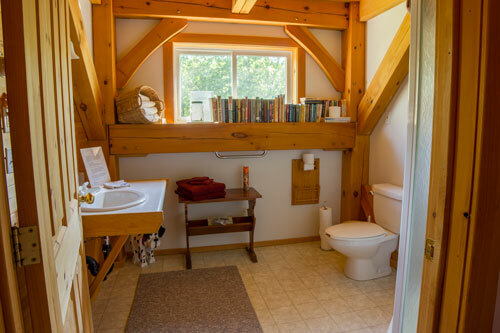 Marvel at the sounds of moving water from your cozy and inviting tongue and groove pine and authentic log bedroom.. 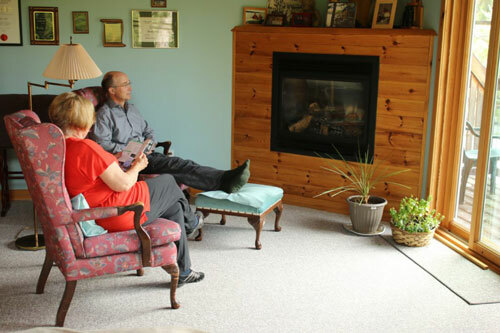 Put your feet up and read a book while you sip a beverage in your comfy sitting chair and matching ottoman. 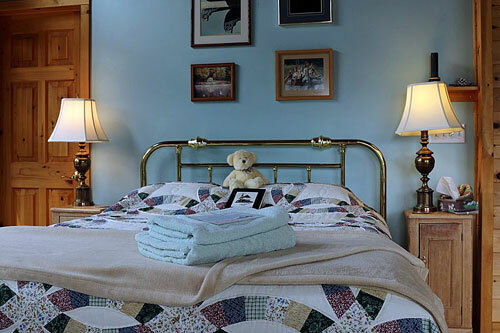 Original and historic walls and ceiling make this a comfortable and cozy room. 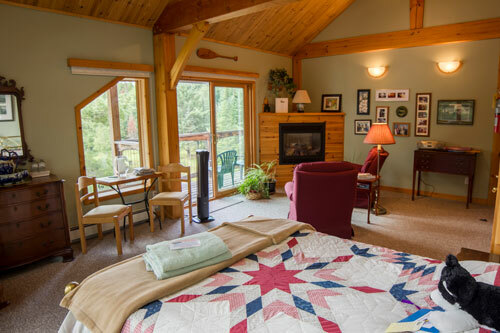 Enjoy the sounds of the river, the fresh breeze and the smells of the country air just outside your window. 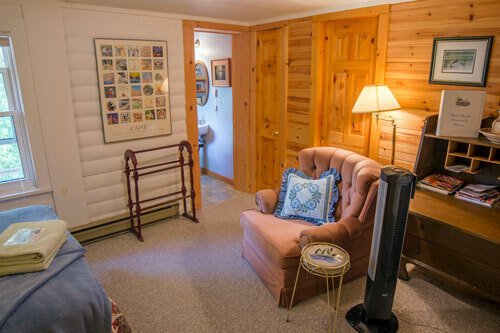 Curl up in your relaxing chair with a beverage and a good book. 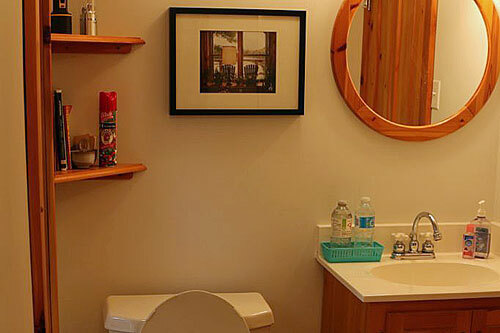 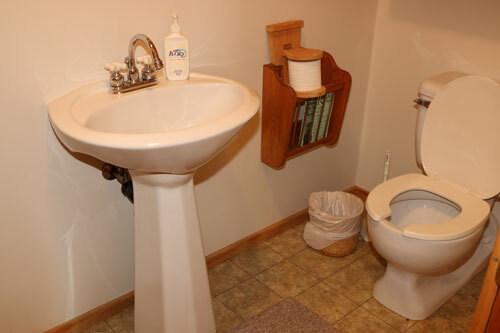 Your washroom is one step outside your room. 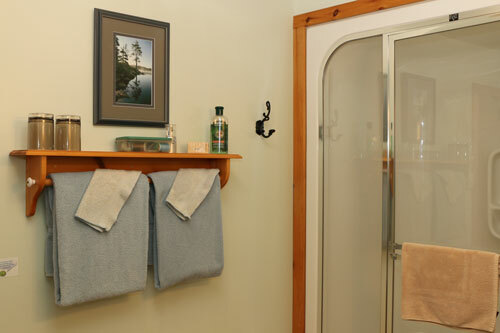 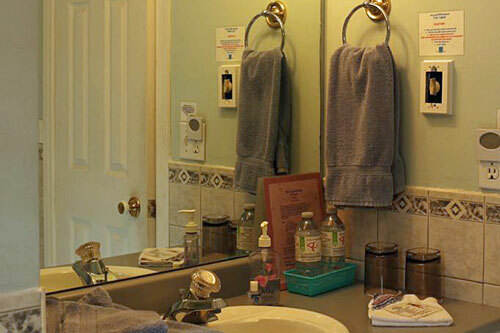 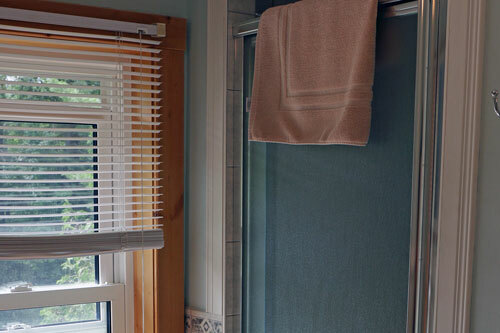 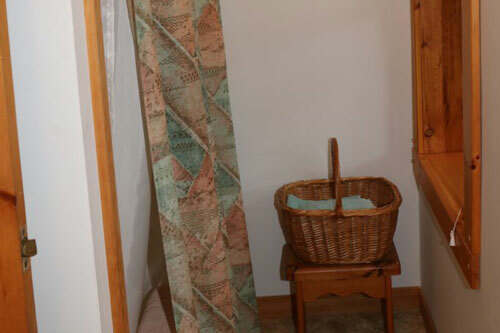 Your shower facilities are shared with Blairbend Riverside Room. 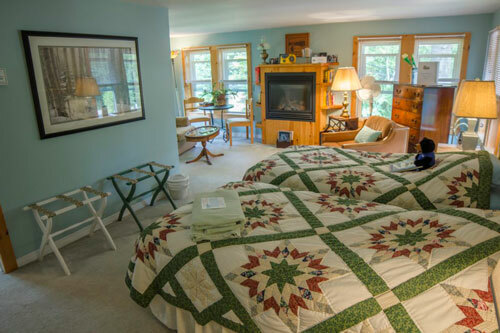 Created as “a calm creative space for gathering friends and family”, this exquisite, 1200 square feet, full timberframe structure boasts a cathedral ceiling great room with a granite hearth to ceiling wood burning fireplace. 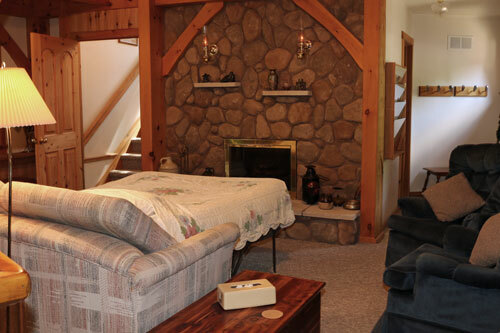 Affectionately known as ‘The Studio’, it is the perfect romantic retreat. 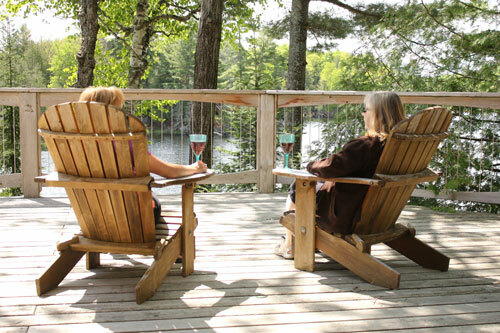 While sipping a cool beverage, enjoy the fresh breeze and the wildlife from the river on your huge private deck . 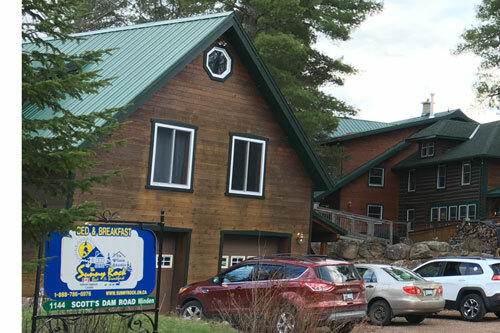 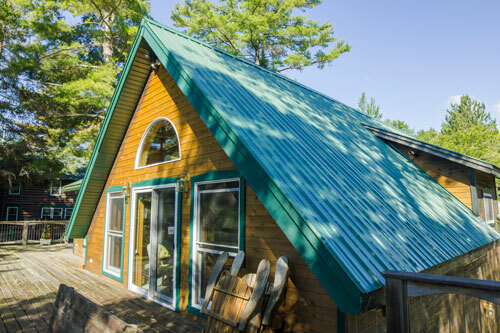 As a separate building with a private entrance, the Pine Studio is everything you dreamed cottage luxury to be. 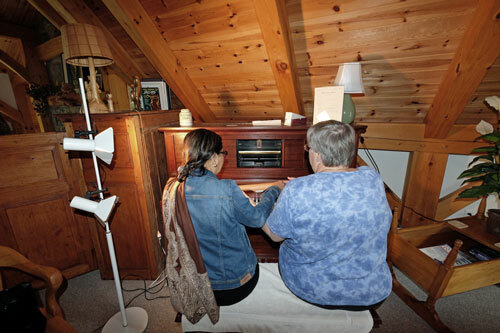 Please ask your host about trying the player piano. 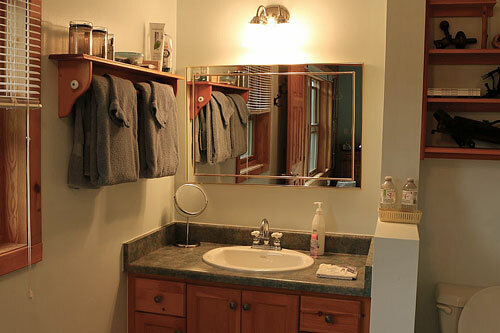 Single, Double or Alumni $150. 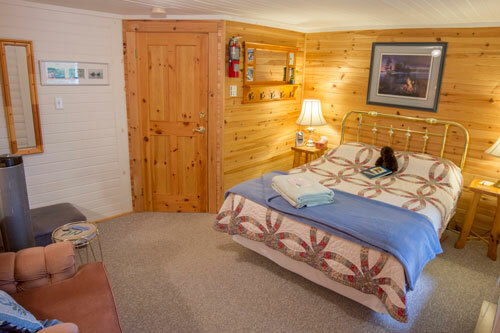 This is Lounge with kitchen below the Pine Studio. 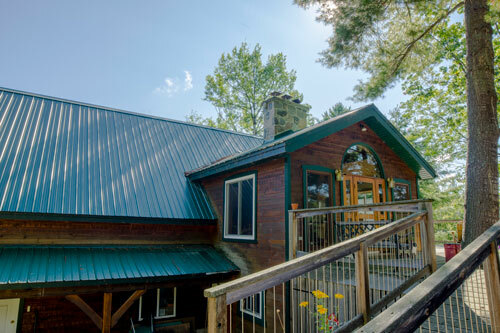 You can walk out to the sights and sounds of the beautiful river or sit on one of two swings hanging on the underside of The Pine Studio deck.